Please select100 pcs.1000 pcs.2000 pcs.5000 pcs.10000 pcs. One chip attenuator covers wide frequency range. Wrap around terminal similar to regular chip resistors makes it easy to mount. 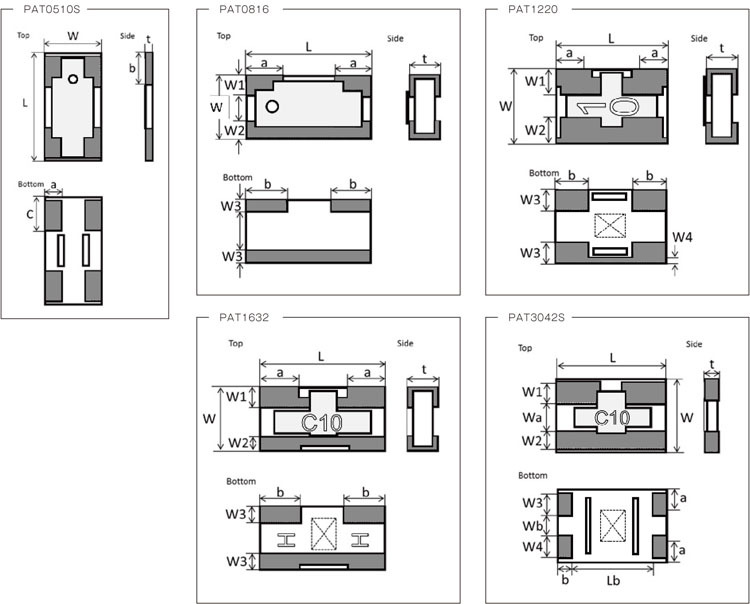 Sizes from 1005 to 3042 are offered, which contribute to miniaturization of devices. High-precision and stable electrical characteristics, less the over-time drift. Radial lead type of thin film resistors has the tightest resistance tolerance and the smallest TCR. The current sensing resistors which cover a wide range of high-power and miniaturization needs. Power choke inductors are optimized for removing high-frequency noise in power supply. Excellent high-frequency characteristics, cover a wide frequency band with low noise. Sample kit with the same size and accuracy and different resistance.